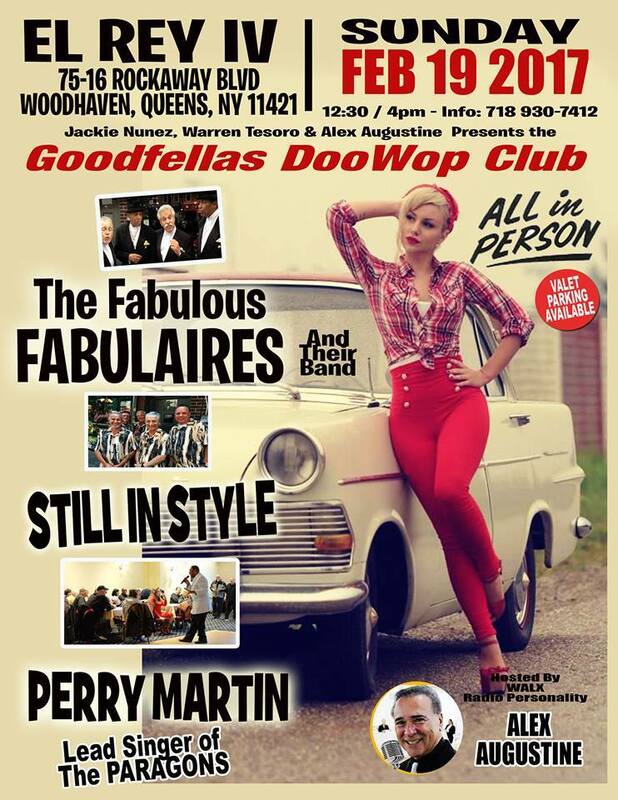 The next Goodfellas Doo Wop Club will be February 19 from 12:30 – 4 PM and will feature the Fabulous Fabulaires and their band, Still In Style and Perry Martin, lead singer of the Paragons. Produced by Jackie Nunez, Warren Tesoro and host, Alex Augustine. Takes place at El Rev IV, 75-16 Rockaway Blvd, Woodhaven, Queens, NY 11421.